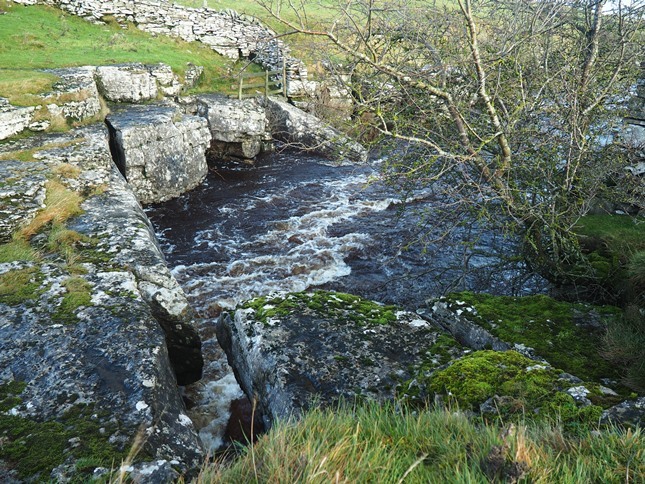 There are at least three natural limestone bridges called God’s Bridge in and around the Yorkshire Dales. The finest is this one located on the River Greta, just south of the A66. 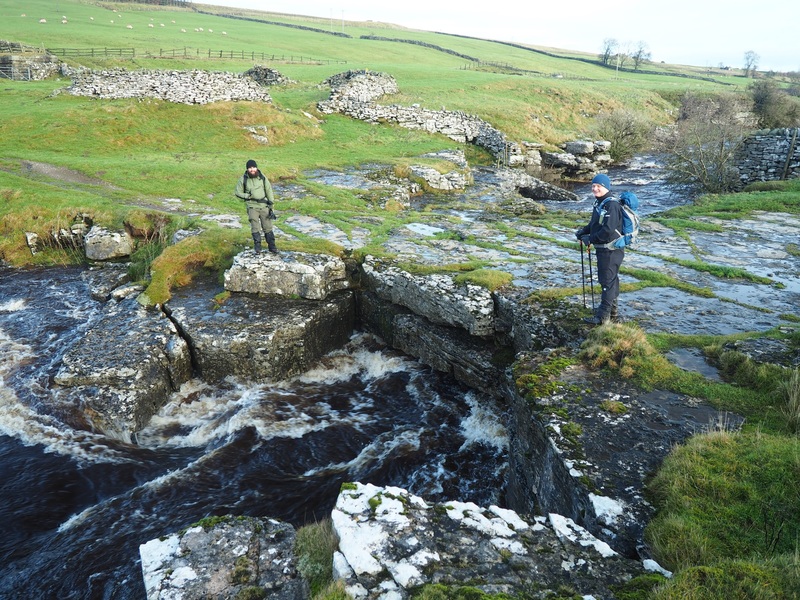 Over 10ft wide and a few feet thick the ‘bridge’ was formed by the river gradually eroding the rock below in order to continue its progress downstream. When the river is up it is quite a sight to see it disappearing below the bridge. In dry conditions when the water levels are much lower it is possible to see right under the bridge. 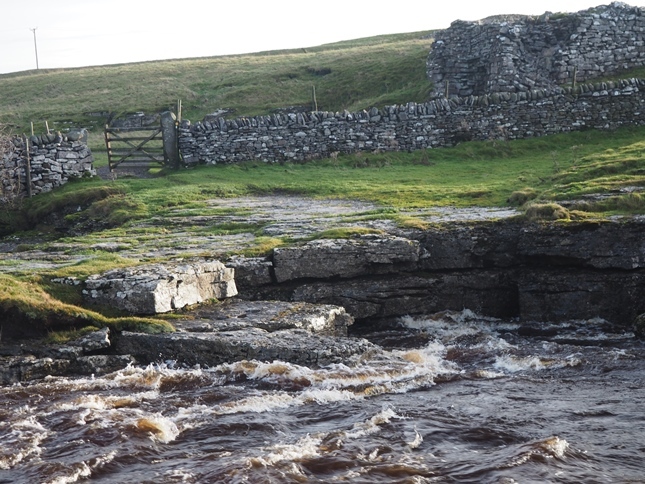 The two other God’s Bridges that I am aware of are on the River Doe near Chapel-le-Dale, which I’ve yet to visit and on Browgill Beck near High Birkwith in upper Ribblesdale.